All CPCC Students are invited to attend this week’s workshop held by the NC STEM Alliance. 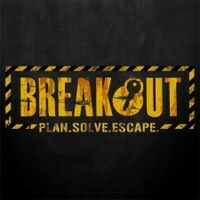 This week we will be preparing for finals with a “Break Out Room” game. Join us as we unlock clues with our knowledge of STEM-related classes. This workshop will be held on April 26, 2018, from 3:30-5 p.m. in the Zeiss Building, Room 4112 on Central Campus. Hope to see you there! Don’t forget to bring your thinking caps.